Wide Receiver Riley Ridley is waving goodbye to Georgia after his junior year but will be saying hello to the NFL this spring. But before he plays his first NFL game, Ridley will be the center of the metrics versus film debate that rages on Twitter and at the local watering hole. The term “most NFL ready” has been kicked around when prospecting Ridley. But, looking at his numbers raises some serious concerns. Playing in the SEC, arguably the toughest conference in the NCAA, he only caught 43 balls for 559 yards in his senior season. Whether or not you draft Ridley will tell more about what you value in the drafting process than almost any other player coming out in 2019. Riley is the younger brother of the Atlanta Falcons Calvin Ridley. Both brothers have similar receiver skills, nice release, sure hands, good routes, however, Calvin was able to outrun Riley in the 40-yard dash. Riley played at Georgia and Calvin played at Alabama. Riley’s coming-out game was against Alabama as a sophomore in the 2017 Championship game where he went 6 receptions for 82 yards. He made a ton of tough catches and this game helped fuel his transition to Georgia’s top wideout for 2019. The Ridley brothers also had a very touching display of swapping jerseys at the end of the 2017 Championship game. Riley Ridley had a very lackluster set of numbers coming out of the NFL combine. He didn’t show great top speed in the 40, nor did he show superior strength on the bench, nor elite explosiveness in the vertical jump. He did show some good tracking ability in catching the ball over his shoulder and confident hands in the gauntlet. Unfortunately, his poor performance at the combine raises some concerns in terms of athleticism. Although “most NFL ready” is a hard title to live up to, I do like the tools and traits that Ridley possesses. Riley Ridley’s best two skills are his release from the line followed by crisp route running ability. He has a toolbox of releases that allow him to get out of tight press coverage including quick feet, jab-stepping, and hand fighting. With a very subtle move, he made an Alabama DB in press coverage jump back (literally) because of his footwork. Once he gets into his route he is able to find the soft spot in the zone or make clean breaks to separate. However, there are times where it is difficult to tell if he lazily rounds a route or if it is purposeful in avoiding a linebacker or safety. He can show some elegance in more developed routes getting wide open on post-corners or turning a corner’s hips on fly routes resulting in the corner grabbing and drawing a flag. At the end of routes, he makes tough catches on poorly thrown balls that end up high, outside or low and away. For all that he does well, there are a couple of areas he will need to improve on to make the leap to the NFL. First of all, he doesn’t show a ton of explosiveness or YAC ability. He is a possession receiver that will make a tough catch and move the chains but is not going to take a quick slant 70 yards to the house. He is able to absorb contact while catching the ball but he won’t be a factor for screens or reverses, etc. He also spent the majority of his time (from the film I watched) playing on the outside. His skill set lends itself more to a slot receiver meaning he will have to make some adjustments to his game to provide what an NFL team will be looking for. His run blocking will also need to improve. Too many times he sold out for blocks and if he was lucky got just enough of a defender to do his jump but too often he would whiff completely on his man. Riley has all the tools to be a solid solid receiver. He creates space and separation then shows really solid hands. He could be a great fit on a team like the Carolina Panthers who just lost Devin Funchess in free agency. Funchess wasn’t exactly a possession guy but was supposed to catch Cam’s errant throws because of his size. A guy like Riley Ridley would be able to work the underneath and has shown he can catch errant throws. 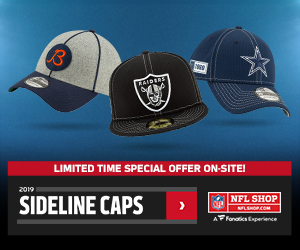 The Cowboys are another team that lost a player, Cole Beasley, in free agency and could use an underneath possession receiver (no, I do not have a ton of faith in Randall Cobb). Teams like the Chiefs, Packers, and Lions have some questions at the WR position and could take a flier on Ridley. 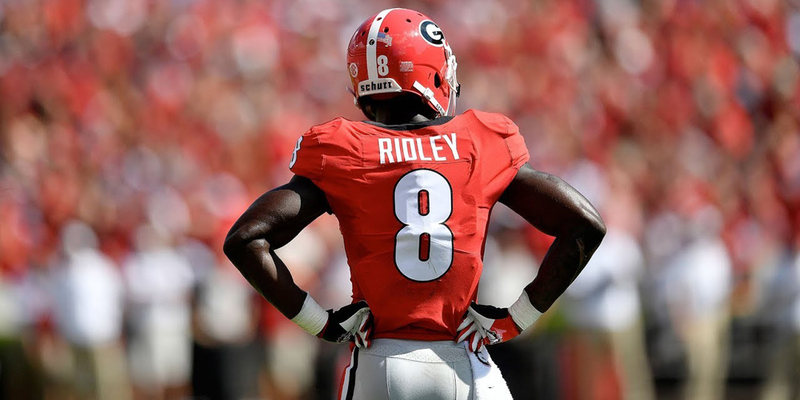 I almost feel like it is cheating to keep using the same phrase with all of these 2019 rookies but landing spot and draft capital will mean so much to Riley Ridley. If Ridley goes in the second round of the NFL Draft, feel free to snag Ridley in the 2 or 3rd round of Rookie Drafts. Especially if he goes to a team that needs a slot or second wideout, Ridley could jump many of the wideouts currently going in the second round of Rookie Drafts. On the right team, Ridley could finish in the late WR2 range much like his brother did in 2018 (Calvin Ridley finished 22 in PPR scoring). If Riley is selected late in the NFL draft or goes to a team with an already established possession wide receiver, I might still take a flier on him with my last pick in Rookie Drafts. Some people will not be taking Riley Ridley at all because of his lack of college production. I think this is a major mistake but will hopefully lead to me getting him on the cheap!